Stop me if you've heard this before, Hanna (Ashley Benson) does something rash. Believing Noel Kahn (Brant Daugherty) is A.D., Hanna begins following the the man without telling the other Liars what she is up to. Spencer (Troian Bellisario) and Emily's (Shay Mitchell) own investigation ties Noel to the Doll House confirming he was in league with the original A in helping torture the Liars during their captivity. 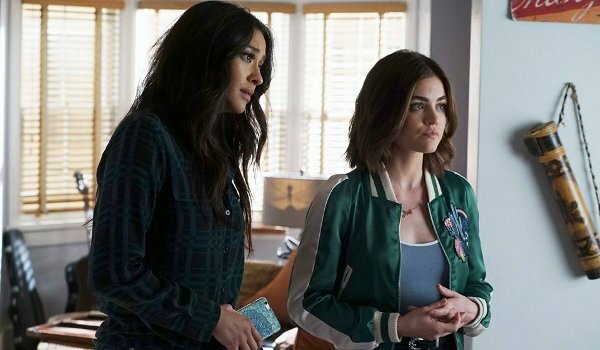 Further spurned on after finding Sara Harvey's (Dre Davis) phone in Noel's trash leads Hanna to a rash decision heading into next week's mid-season finale. While Spencer looses the evidence the Liars found on Noel, Hanna's rash actions are likely to lead to more questions being asked (if not necessarily answered) next week. Looking for answers about Mary's (Andrea Parker) second child, Aria (Lucy Hale) spends time with Jason (Drew Van Acker) dredging up some old feelings from their time together. Although the show once again teases the pairing, Ezra's (Ian Harding) would seem to squash it, at least for now. However, the pair's time together also leads them to suspect Noel may be Charlotte's long-lost sibling. Events are picking up heading into next week, and I'll be curious to see what the show decides to do with the tease of an old love coming back into Emily's life.